Right now, you can register for a free Online Craftsy class on pizza making. Click here to learn how to make the perfect pizza from home. 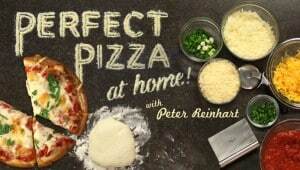 The site currently offers a free Perfect Pizza at Home Class with chef Peter Reinhart. You must learn how to make fresh, flavorful pizza in this mini-class.